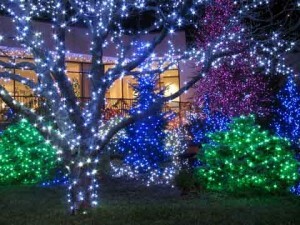 Welcome to Ladybug Lights – your one stop shop for the very best in Christmas lighting experience. One of our lighting specialists will come out and give you a free consultation. They will confirm if you have any existing LED lights, measure up the distances, and confirm your budget. He or she will then custom create a dazzling display that is sure to have all your Christmas guests in awe! Also available in Red, Green, Cool White, Warm White, and Orange.